Not Prepared For This Run! I met up with Melissa at 6 this morning in Payson (and we picked up Rachelle at 6:15). When I walked out of my house, there was no wind and the snow was nicely falling. I debated whether to go back inside and grab my face mask, gloves and an extra jacket but decided not to because it was the lighter fluffy snow. 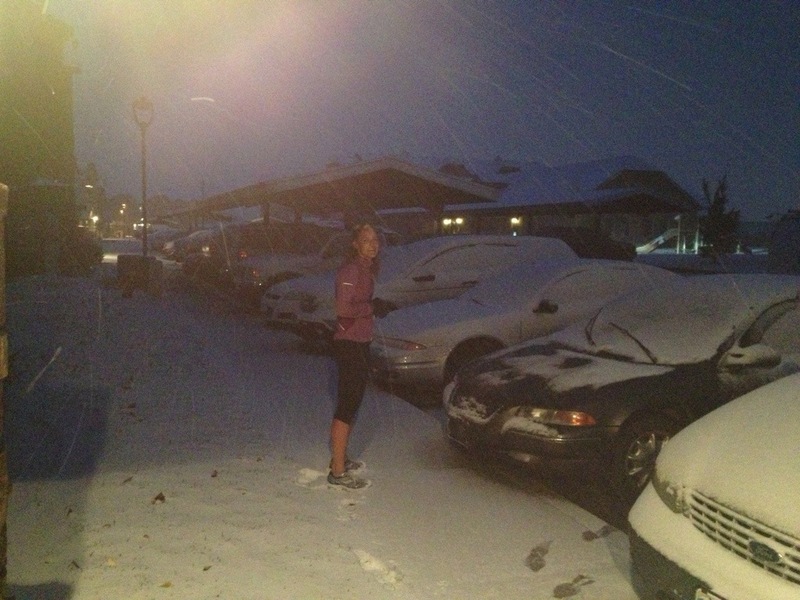 I drove into Payson and it was a little windier… Melissa and I started and running in the snow and wind was hard. 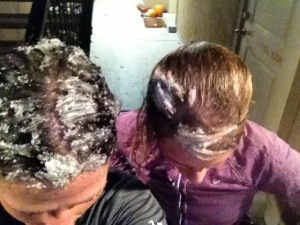 We could not see, our faces were cold and the snow was hard and it hurt our faces as it hit! We ran back to Rachelle’s place and told her she had to come with us. We ran the same 2 mike loop back and forth. We wanted to stay close to our cars. 🙂 Running out was nice and enjoyable with the wind and snow against our backs but turning around on the loop was the real adventure. I don’t know what the other 2 did but I tucked my chin down to my chest, had my eyes barely open and would put my hand up to shield my face. Our pace did pick up every time we ran back just so we could get done with the pelting, hurting snow. At the end my head felt like an ice helmet. Good times! We ran 6.7 miles in 53:36.65.